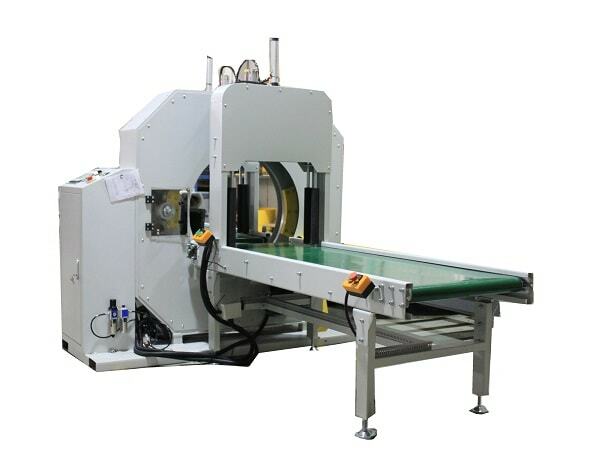 Please advise us the price and availability of the below Wrapping Machine. Kindly advise the offer including freight charges to Dubai, UAE and with Spec Sheet. Can we exclude the 600*600*600 square pack, because this is too short as well. To pack this we need to narrow the stretch film and add transition conveyor between the infeed and outfeed conveyors like pictures below. I hope all is well. Please see below / attachments for the revisions to the profiles. Both panel profiles need these adjustments to match up with our current machines. As for the U-brace machine, everything is correct on that. Please let me know if you have any questions and I will get right back to you.